Does that make it organic? RICHMOND, Va. (AP) _ Something unusual is cropping up alongside the tomatoes, eggplant and okra in Scott Byars' vegetable garden -- the elephantine leaves of 30 tobacco plants. Driven largely by ever-rising tobacco prices, he's among a growing number of smokers that have turned to their green thumbs to cultivate tobacco plants to blend their own cigarettes, cigars and chew. Byars normally pays $5 for a five-pack of cigars and $3 for a tin of snuff; the seed cost him $9. A seed started in March can be harvested, hung to dry and ready to smoke as soon as October. Some anxious growers have been known to microwave leaves to hasten the drying. For purists, the leaves can be cured, or aged, like a fine wine for up to three years. Cross Creek has seen a big increase in seed requests from home growers but it sells in volume. Its smallest seed offering is 90,000 seeds for $170. "The quick answer to that is no," said Thomas Glynn, director of cancer science and trends at the American Cancer Society. Glynn knew of only one study of the health risks of homegrown and commercial blends -- and it concluded no difference in safety between the two. Moore doesn't use tobacco herself but has no misgivings about her business. "If I sold doughnuts in a bakery would I feel guilty because fat people come in and buy them?" she asked. 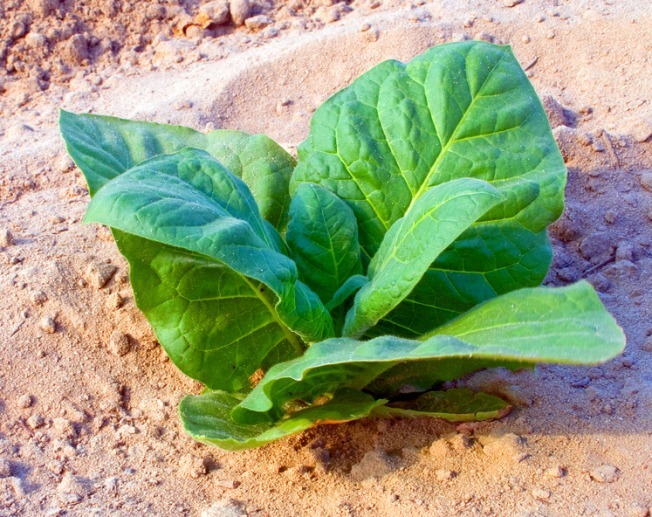 "It just happens to be a very good year for tobacco seeds."